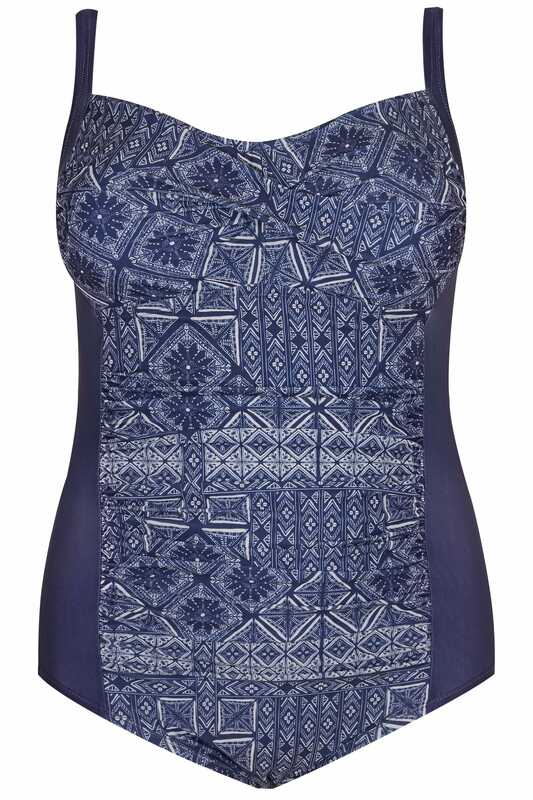 Update your swimwear collection with this chic swimsuit. With a twisted ruched front that offers a flattering silhouette, it features lightly padded cups for a smoother shape and adjustable straps for a great fit. Loving the pretty printed design.